There’s a science to asking the right interview questions. Too often interviewers pull up a bunch of random questions and look for the answers they like best, but is that really the best approach? Having a clearly defined strategy and well-crafted questions is truly going to help you identify the best candidates. After all, one doesn’t have to look to hard to find stories of church’s who really should have interviewed their youth-pastor candidates a little more rigorously. 1. What makes you want to work here? You’re hoping the candidate reveals their preparation for the position. Ideally, they’ll have researched your church and be able to talk about how they’ll benefit your church specifically. If they haven’t really done their research, they’ll likely launch into a more generic discussion about their desire to work with youth and/or serve God. 2. How would your previous pastor describe you? Is this candidate a team player? Do they respect authority? Look to see if their previous pastor is a reference. If they’re not, ask why. Then ask if you can contact the pastor see how their question matches up. If they tell you no, thank them politely for visiting. 3. What kind of a work environment would you prefer? The answer to this question is going to reveal a lot about the applicant’s personality type. Are they organized? Do they prefer to work in a room with others or alone? This can help you identify whether they’ll fit in with your team’s work culture. 4. How do you plan to engage and inform parents or guardians about your ministry objectives and progress? This question isn’t really about having the right answer. In fact, whatever their answer is, you’ll probably have to fine-tune it to work within your church’s culture. What you really want to see is how easy this is for them to answer. The more effortlessly they answer this, the more likely they prioritize family dynamics in their idea of ministry. 5. Tell me about how you became a Christian. Does there seem to be a genuineness to their story? Do they share their testimony in a way that shows that they’ve shared it often or does it seem like they’re struggling to find the narrative? Our testimony is an integral part of our ministry, and an inability to articulate it might be a sign that sharing the gospel isn’t really a priority. 6. What is the gospel? This question is nonnegotiable. Anyone coming to you for a job in youth ministry needs to be able to clearly communicate the gospel. 7. What are your two greatest weaknesses, and how do you compensate for them? Hopefully the candidate is self-aware enough to answer this. If they launch into one of those answers where they twist a positive into a negative (“I just care too much.”), stop them and ask the question again. Everyone has weaknesses. The important thing here (beyond getting an honest answer) is finding out what they do to mitigate it. 8. Tell me about a time you had a conflict with a superior. How was it resolved? This is another question that reveals the personality of the candidate. Not really having an answer isn’t a sign that they’re not being forthright, but it can be a sign that they won’t fight for what they believe is right. Any church team of passionate people is going to have some conflict—it’s how they resolve conflict that’s important. 9. Describe the diversity of some of the youth groups with which you’ve worked. This question will help give you a good handle on how the applicant sees diversity and some of their past experience. Do they include working with other races, income groups, perspectives? How do they work to engage others? Do they have a one-size-fits-all approach to ministry, or do they adjust their ministry to speak to the experience and perspectives of those involved? 10. Tell me about your call to ministry. How was it confirmed? Ministry isn’t a job like managing a bank or clerking at Safeway. Ideally it involves a calling of God and a confirmation from others in ministry. 11. Once you lead a student to Christ, how do you begin discipling them? Ultimately all ministry should be about leading people into spiritual maturity. A youth pastor should definitely have thoughts about the best way to turn students into disciples. 12. How would you grow our youth program? This is another question that’s going to reveal how prepared an applicant is. I can’t imagine coming into a youth-pastor interview without a few growth-oriented ideas in my holster. Give them extra points of their ideas are specific to your congregation and town. 13. How do you cope with stress? Ministry is stressful, and having a plan to deal with stress is the best way to ensure that someone’s ministry (and by association the church) doesn’t blow up. This is another question that’s really intended to probe the thoughtfulness and introspection of the applicant. Do they know how stressful this position is? Do they have an adequate fear of unresolved stress? Do they already have a way they deal with stress? 14. What’s the last book you read? Most great ministers are readers, but they don’t necessarily have to be. This is an interesting question because it helps to identify an applicant’s honesty. If it takes a long time to answer, they haven’t read for a while or they’re trying to think about a book that will impress you. 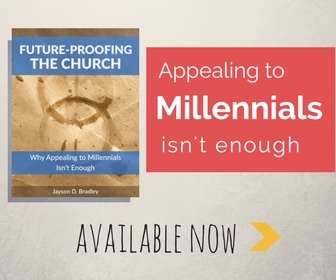 If they give you a book that’s completely unrelated to youth ministry—or church for that matter—give them points because they’re likely being completely honest with you. If they answer with a work that seems right on the nose, don’t be afraid to probe a little deeper and see if they can answer simple questions about it. 15. Tell me about some theologians and writers that have had a big impact on you. Similar to the book question, this question does a good job of revealing a lot about how your applicant sees the world and what’s important to them. It’s kind of a red mark against them if they stumble around in response to this question and then list off a couple really mainstream answers. 16. What sort of beliefs would preclude you from taking a job with a church? This helps you identify the areas that are important to the candidate, and elevate any potential problems between their theology and yours. 17. If everything goes according to plan for you, what will you be doing in five years? Provided they don’t pander, this can be a helpful area of discussion. Do they plan to ultimately pursue another area of ministry? 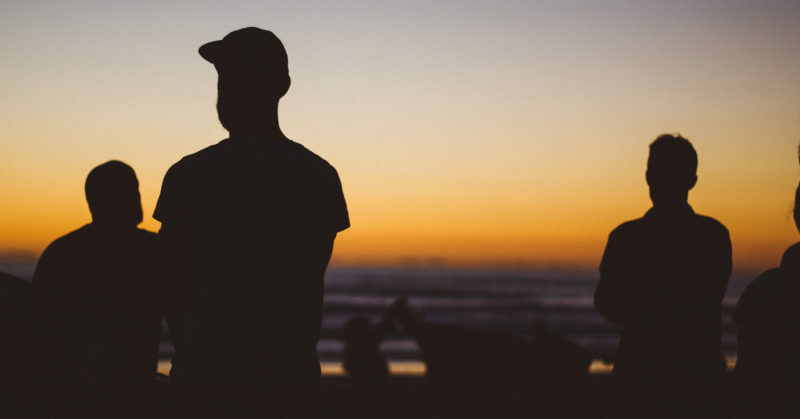 Do they want to be the director of youth ministry in a larger church? Their ambition is actually a good thing for your organization, but you might want to talk about it if they ultimately don’t want to be in youth ministry. 18. Will you allow us to do a standard background check? You should should be planning to do this anyway. So if the answer is no, it might be a good sign that the interview is over. 19. What tools do you use to stay organized? Ministry is highly detail oriented. I’d seriously be concerned about an applicant that doesn’t have a plan to keep themselves organized. It can be a lists in a spiral-bound notebook as far as I’m concerned, but they should have some plan for staying organized. There’s a reason that this is the go-to interview question. Nothing reveals faster whether an applicant is informed, interested, and engaged. Most interviewers see it as a huge red flag if they haven’t come up with a question or two by the end of the interview. Leave us a comment and share with us some of the best questions you’ve given to a youth-pastor candidate or received as an applicant!